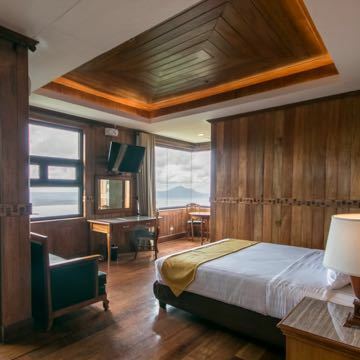 Alta D' Tagaytay Hotel charms its guests with its rustic interiors reminiscent of a cozy cabin. 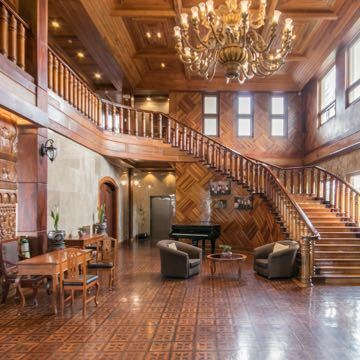 This rare Tagaytay gem is both secluded and accessible, and is known for offering stunning panoramic views of Taal Lake. Food aficionados can satisfy their palates at La Terazza, the hotel's in-house restaurant with exquisite dishes crafted by an expert chef. Well-equipped with amenities and facilities for celebrations and group events, it prides itself on its 5-star service, making sure all travelers find home in this intimate and exceptional stay.